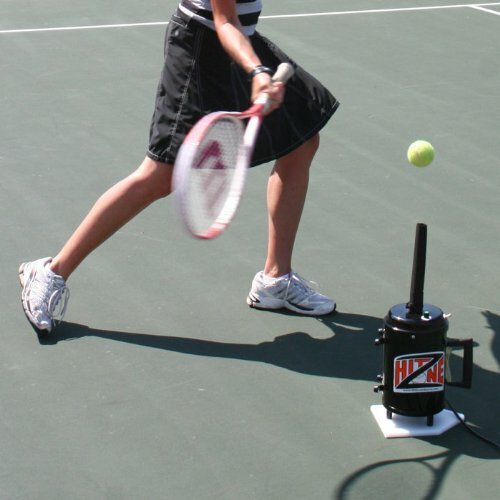 Hit Zone Deluxe Plus Tennis Practice Tee. 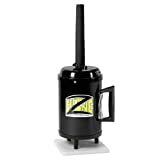 The B3-HZBVT variable speed unit is going to change the way Pros teach! The variable control allows you to adjust the air flow, which makes it easy to use a wide range of balls, from foam, QuickStart balls, up to a regulation tennis ball! When using the training balls, you are able to turn the unit way down, allowing it to run much quieter. This is a real plus when talking to a student. This is a great unit for teaching Pros, camps, practice facilities and anyone who desires more power and options! Features include: TC Plate 1 Fabric Sleeve with Hose Clamp Dimensions: 7"L x 7"W x 14.25"H; 9.6 lbs.